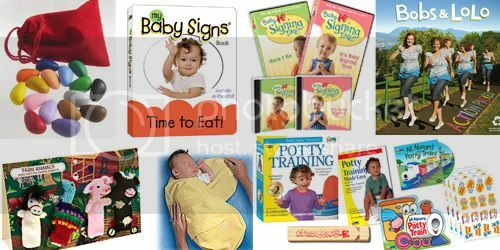 Mommy Hands Baby Sign Language not only offers terrific classes for new and expecting parents, babies and toddlers, but also sells a variety of books, DVDs, music, learning kits and items for creative and sensory play. Mommy Hands Baby Sign Language is kindly offering 10 percent off of total online store purchases from saskmom.com followers. To redeem this offer, enter the coupon code "SM2010" at the point of sale. I personally am looking forward to trying the cool new crayon rocks that Mommy Hands Baby Sign Language now has in stock.